The cardiostrong Gym Towel can do more than a normal towel. It's equipped with clever features that make training more comfortable at home or in the gym. Extra bag with zipper for storing aways keys, money, etc. The cardiostrong Gym Towel is the ideal towel for all fitness fans, who want to work out at home or at the gym. The clever sport towel can do much more then just lying around or serving as sweat catcher: For instance, you have a zipper bag, where a key or a mobile phone can be put in, or the cover, by which the towel is hung over the rest of the weight bench. Thanks to this cover, the towel does not slip while exercising. 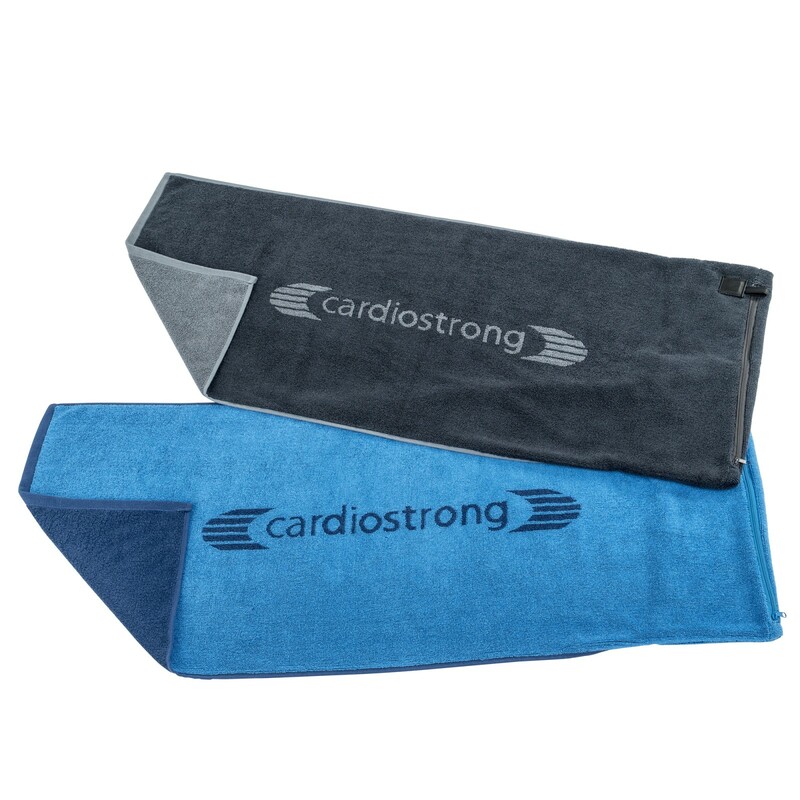 In addition, a little magnetic clip is sewn in the towel, by which the cardiostrong Gym Towel can be hung on the fitness machine. The towel is very hygienic. Last but not least it's given by the different structure of the sides. One side can always be put on the machine and the other side is for the body. The towel has a textile percentage of 100 % of cotton and can be washed in a machine at 60° C.